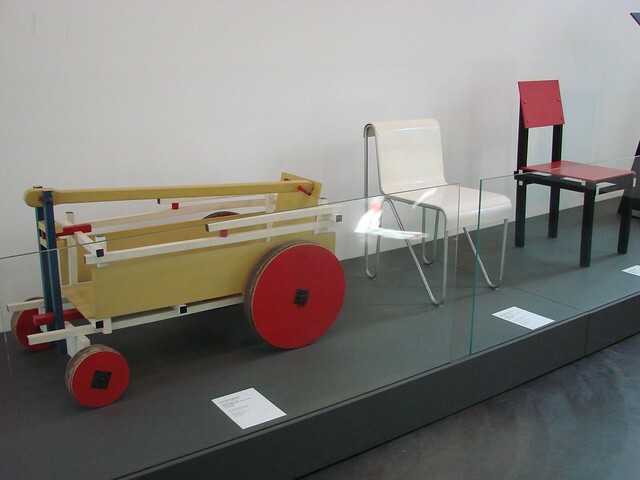 In December of last year, the Centraal Museum was able to purchase the Prototype Low Chair (center) by Gerrit Rietveld’s at a Sotheby’s auction. 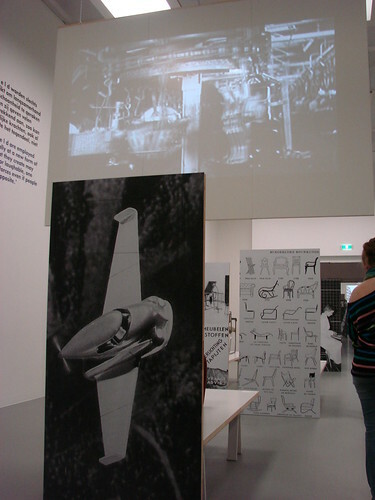 The iron chair, which dates to c.1946-1950/52, was an experimentation by Rietveld in working with metal, using some of the techniques he had worked out in his usual use of molded plywood. 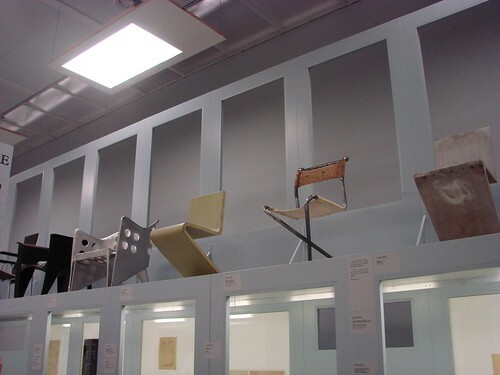 Although the chairs go for large prices these days, they, like the designs by Ray and Charles Eames, were meant to be affordable through easy construction. 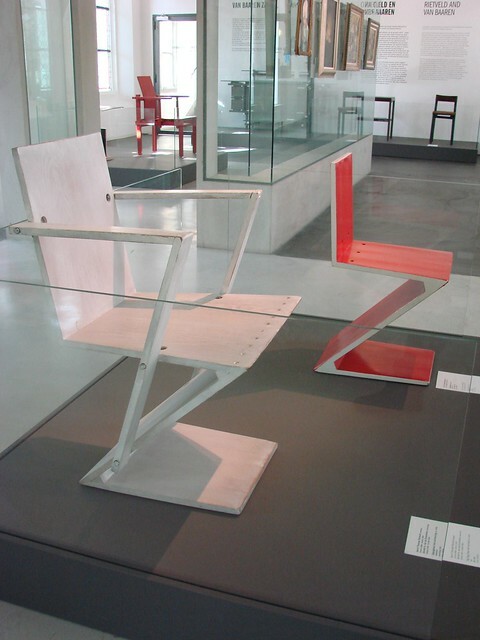 The Low Chair was one of a series of chairs that Rietveld exhibited in Denmark in the early years after World War II, and it was this exhibition that led to the overall design of the chairs being known as Danish chairs. 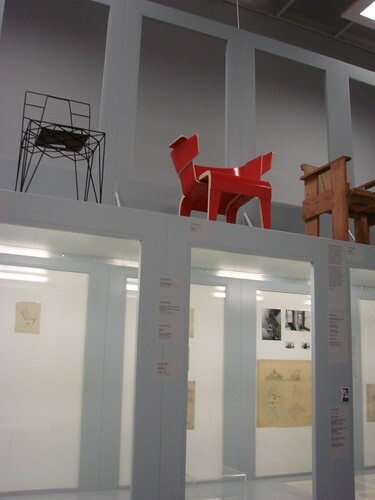 The technical drawings for the Low Chair suggest that it was intended to be massproduced, but in the end, that particular design was not manufactured. 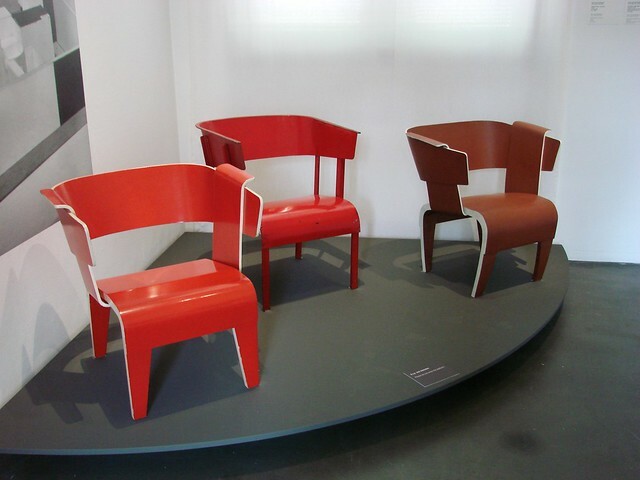 However, the Danish chairs (the two flanking chairs in the photo) were produced. 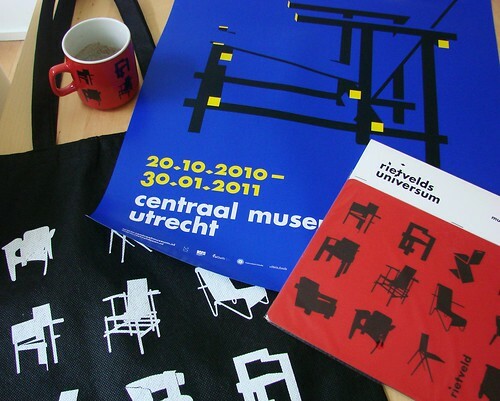 The Prototype Low Chair was recently put on display at the Centraal Museum, and having read the news stories about the purchase, it was nice to get to see the chair in person. 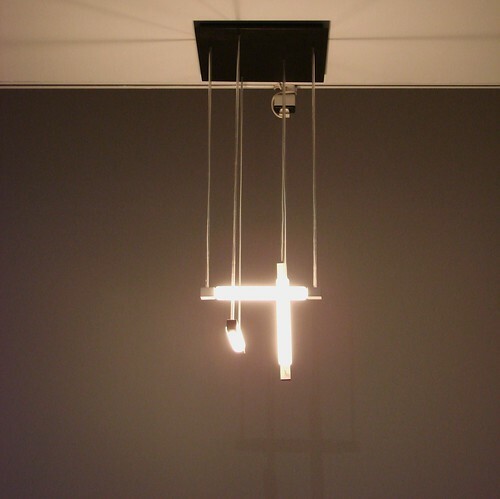 It’s on display in a small room often dedicated to one or two individual Rietveld pieces. 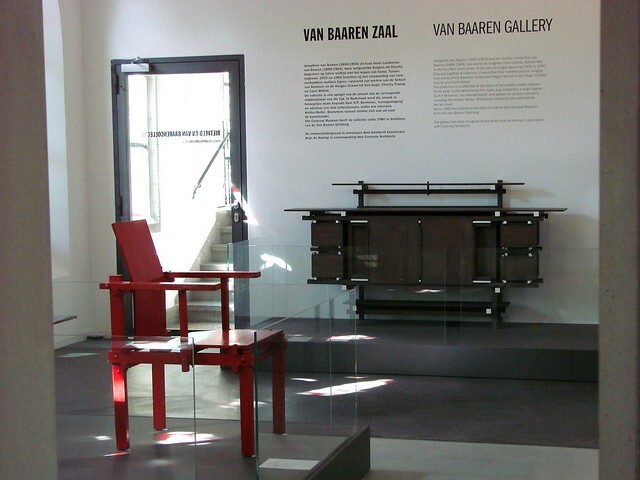 However, there’s another room in the museum, the Van Baaren Zaal (Van Baaren Gallery), which features additional examples of Rietveld’s furniture designs. 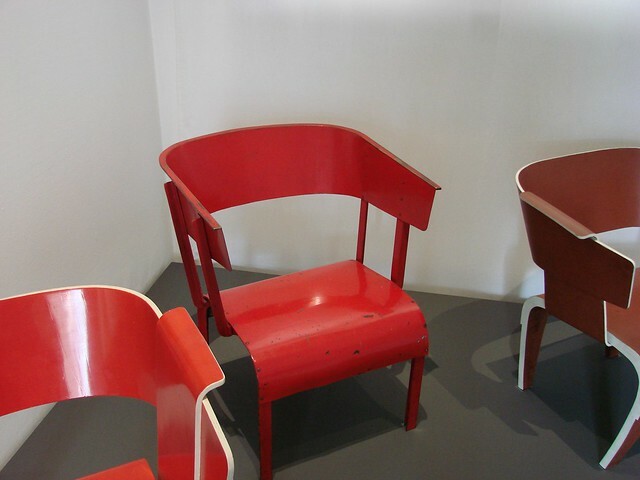 Amid the paintings in the room, which were collected by the Van Baaren family, the museum has placed examples of some of Rietveld’s furniture. The simple, modern shapes form an interesting contrast to the often traditional paintings in the collection. 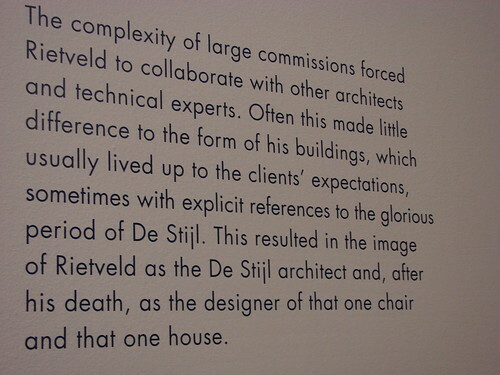 Take for instance, two variations of Rietveld’s Zigzag Chair that sit amid portraits and florals. Other pieces currently on display include a sideboard/buffet piece that I am particularly fond of and would love to own a reproduction of someday. There are also additional chairs, and even a child’s wagon on display. 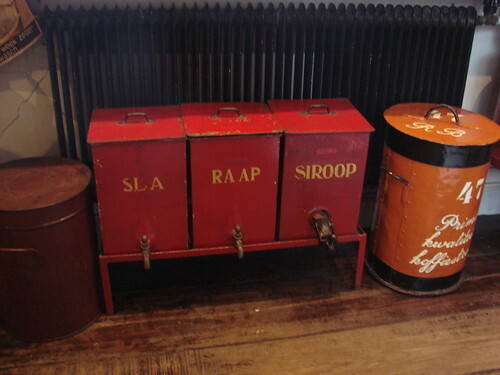 Although only a small sampling of Rietveld’s work, it’s a nice selection of pieces. 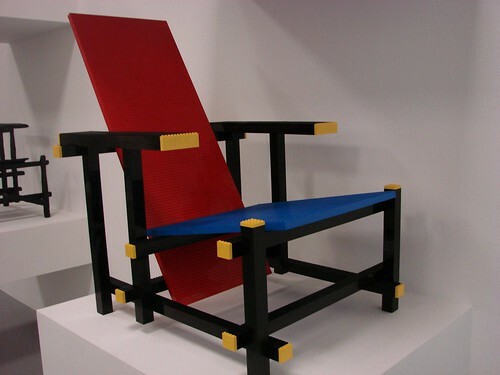 The Prototype Low Chair is on display until 13 April 2014. You can see all of the pieces in situ in this video from the Centraal Museum (in Dutch). Grocery shopping. We all do it, whether we enjoy it or not. But have you thought much about how it used to be before we had grocery stores and name brands to turn to? 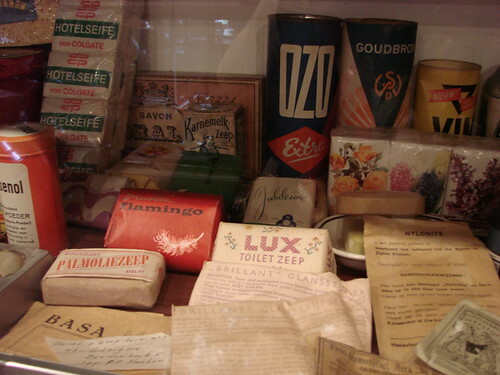 The Kruideniers Museum, in a little area just behind ‘t Hoogt cinema near Neude, takes visitors back to the early days of grocery stores. 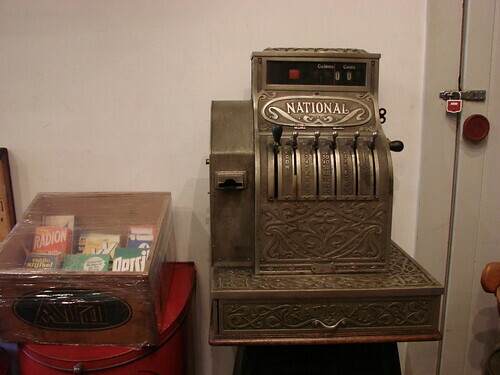 The museum is actually a shop on the ground floor, where you can buy various drop, mints, candies and household goods carefully weighed out in the traditional way. 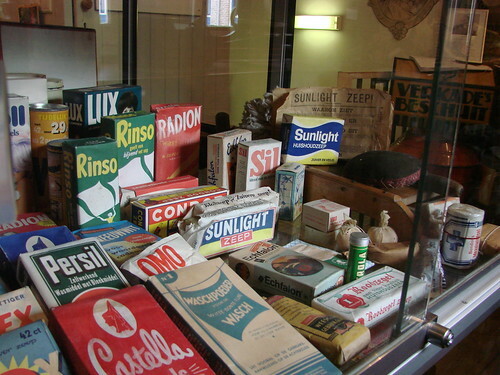 Upstairs, in the 17th century building, is a small area set up to show some of the early packaging, displays and measurements first used in these kinds of shops. 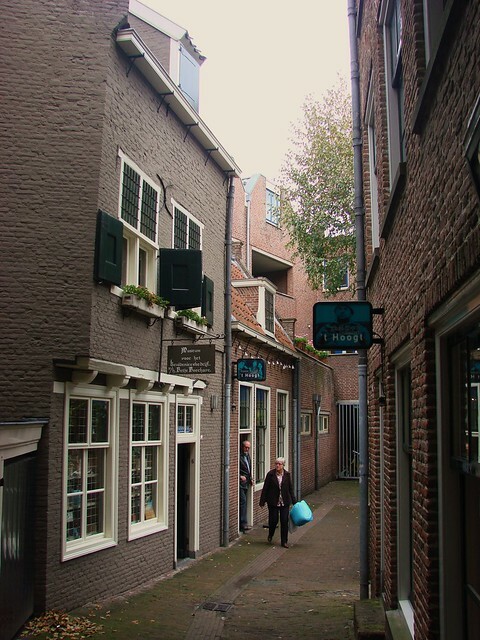 The museum is known also as Betje Boerhave, in honor of the 19th century grocery woman whose notes and diaries have provided much of the historical information for the museum. The museum receives no subsidy and runs on donations and the profits from the candy and goods sold in the shop. Admission is free, and the volunteers who keep the museum running are very friendly and obviously care about the museum. 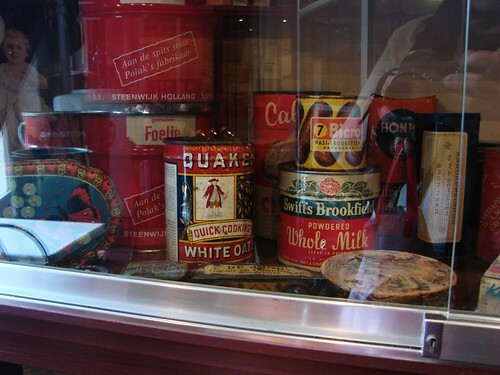 It’s definitely worth a visit, if for no other reason than to take a look at some of the early packaging of products you may well remember from childhood, or even products that you still buy today. 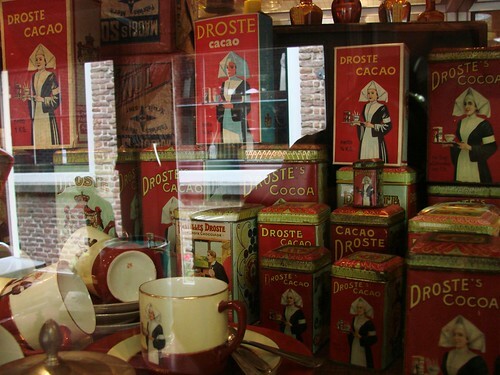 The Droste cacao display I posted Friday is just one of the many interesting and attractive product displays set up. It was fun to see ones that I recognize even from America, along with brands that I’ve come to know since moving here, including Hema and Maggi. 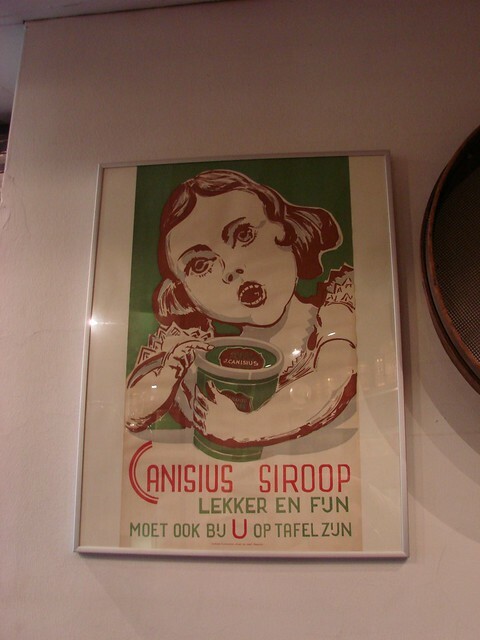 One of the unintentionally funny — and scary — displays was this advertising poster for syrup. I have a post about a small museum in town that I’ve been meaning to write since November, but I keep forgetting. Today, I got my photos loaded up to Flickr, but to be honest, I’m een beetje moe (a little tired) and don’t feel like working on the translation I’d need to do to give you the proper information. So instead, here’s a teaser of what’s to come. 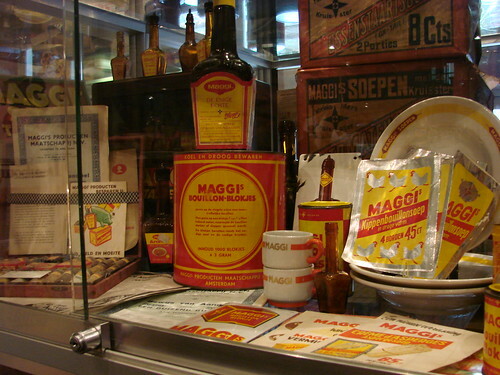 This photo of Droste Cacao, a popular Dutch cocoa powder, shows one of the exhibits at the museum. Plus, if I post this without any further info, it puts pressure on me to actually get the full post up this weekend, so you’re not left wondering. 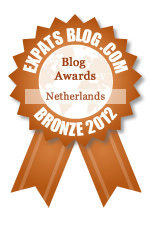 Think of today’s post as a cliffhanger!